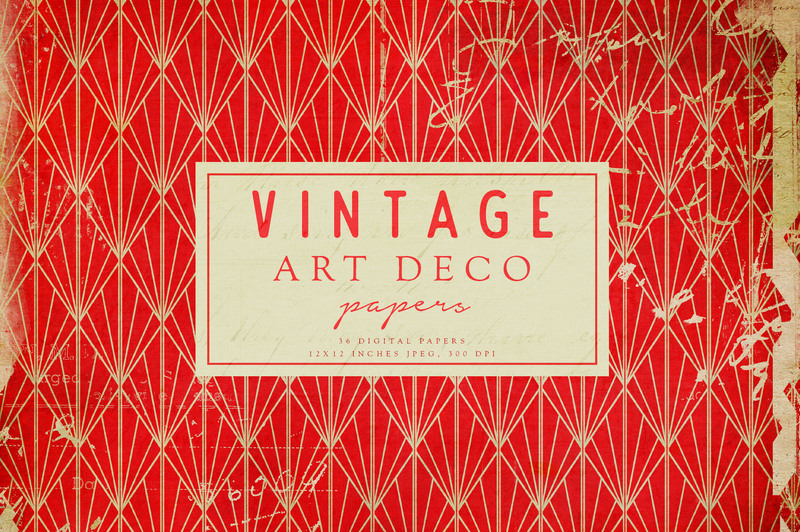 A collection of gorgeous vintage Art Deco themed papers. 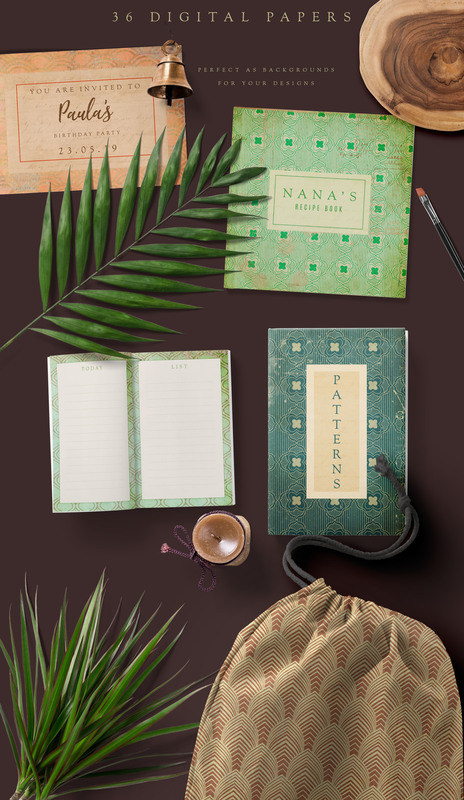 These papers are saved as 3600px x 3600px 300 ppi .JPG. 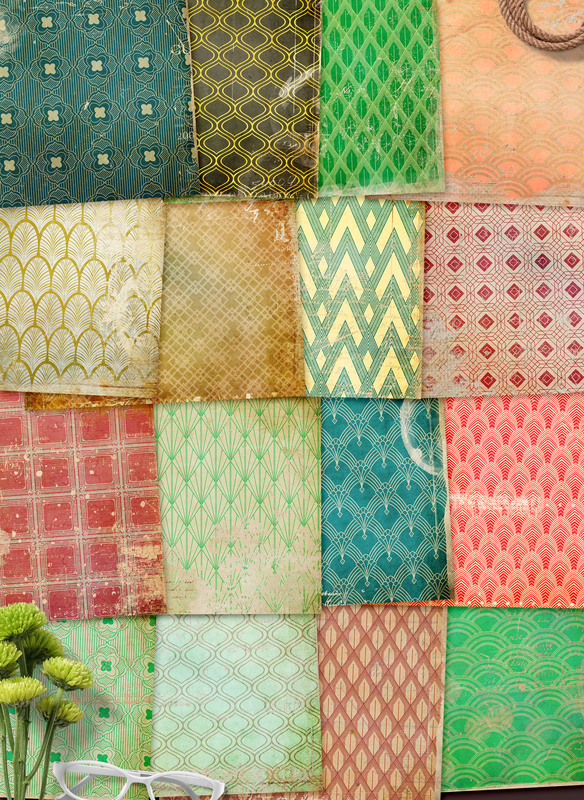 They are beautifully distressed with grunge texture and marks. 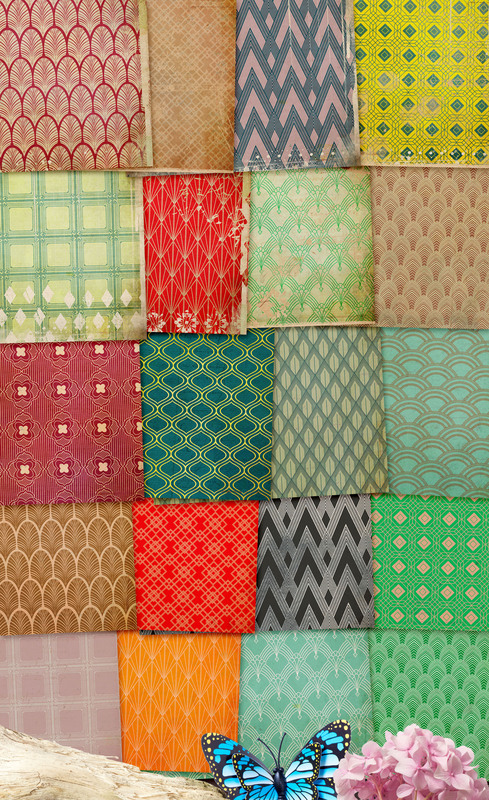 Perfect to use as backgrounds or added accent to your designs.